The San Fransisco based Nick Sowers records the sounds in and outside the Atlantikwall’s bunkers. 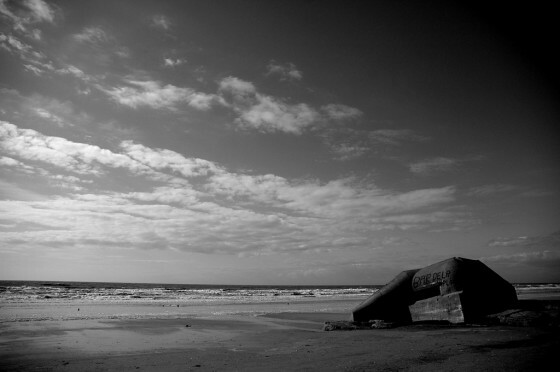 Nick isn’t really interested in the strategic past or bunker archaeology but he researches the re-use of bunkers and their presence in the everyday landscape. According to Nick, photographs cannot measure “the living presence across a duration of time captured by the bunker’s interior“, something which sound can. More on Nick’s work on Places, an online journal of architecture, landscape, and urbanism. Or visit Nick’s website Soundscrapers.